Often called the National car of Texas, Cadillac Escalade EXT is a high-end pickup famous for its sport-utility and road performance. 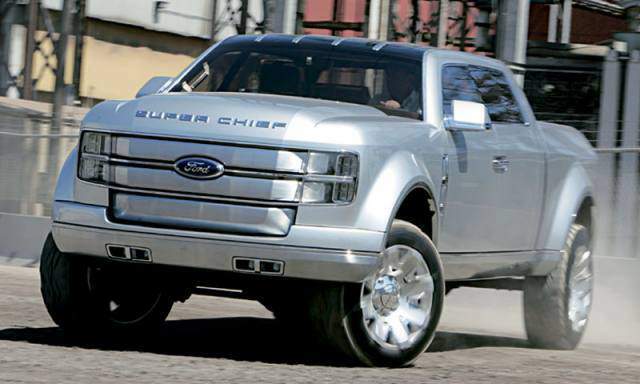 For long, the pickup truck has competed with the Toyota Tundra Limited and Ford F-150. 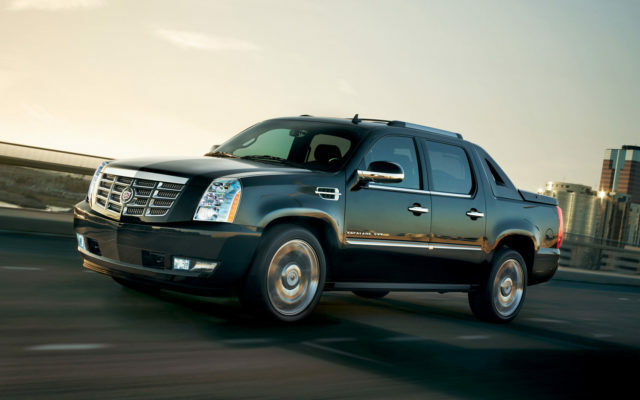 The Escalade EXT is an extremely spacious vehicle and features a power packed engine. If you’re looking for a vehicle to haul cargo, pickups are a great option. However, most pickups don’t offer the passenger space found in an SUV. On the other hand, most SUVs offer a decent amount of passenger space but you cannot meet all of your ‘cargo’ needs with them. This is where the Cadillac Escalade EXT enters the fray. With the Cadillac Escalade EXT, you get two things: a pickup truck bed and the interior amenities found in an SUV. 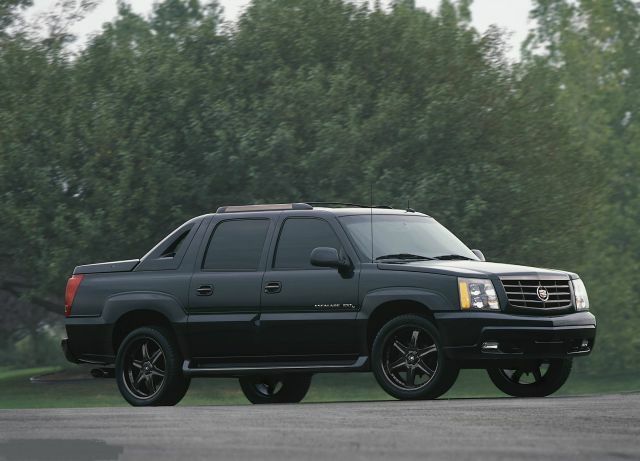 It wouldn’t be wrong to say that the Cadillac Escalade EXT is best-looking pickup truck around. You won’t be able to differentiate the Cadillac Escalade EXT from its SUV siblings if you view it from the front. However, the difference becomes visible when you view it from the side. The vehicle features a removable locking tonneau cover, a 5-foot cargo bed, and a folding Midgate. You can increase the length of the truck bed from 5 to 8 feet by opening the bulkhead of the folding Midgate to connect the truck bed with the passenger cabin. The other exterior parts are something that you expect in an Escalade i.e. the mandatory chrome side vents, 22-inch alloy wheels veneered with chrome, and grille and headlamps surrounded by chrome. ‘Extreme end’ luxury is what you’ll find in the interior. The interior features high-quality materials. Apart from the high-quality materials, you’ll find power controls for every imaginable function, cooled, and heated leather seating and a top-end audio system. Accentuated with modish blue-light inlays and illuminated from behind with white LEDs, the speed-o-meters are comprehensible and large. Furthermore, the switches, mirror, locks, and power windows are illuminated with similar lights. This makes them easy to find at night. You may find the backs of the stanchion seat a bit uncomfortable. However, the rear seats offer you plenty of space to stretch out. The interior encompasses a lot of high-tech features including XM Satellite Radio, power-adjustable pedals, four-wheel antilock disc brakes (ABS), rain-sensing wipers, DVD navigation with rear backup camera, dual-zone automatic climate control, advanced front airbags with passenger sensing, and stability control. A 6.2-liter V8 powertrain powers all Cadillac Escalade EXTs. The engine of this pickup truck generates a 403 hp and features Active Fuel Management cylinder deactivation. The engine of this vehicle is ‘noiseless’ and performs seamlessly on the road. The new pickup truck has a towing capacity of 7600 pounds. For a vehicle of its size, the vehicle has an excellent EPA rating for the city and for the highway. The EPA for the city is 13 mpg while the EPA for the highway is 18 mpg. The vehicle ensures good handling and a smooth ride. The standard All-Wheel Drive (AWD) ensures that you have complete control of the vehicle. The features and convenience this pickup truck offers make it ‘worth’ paying for. 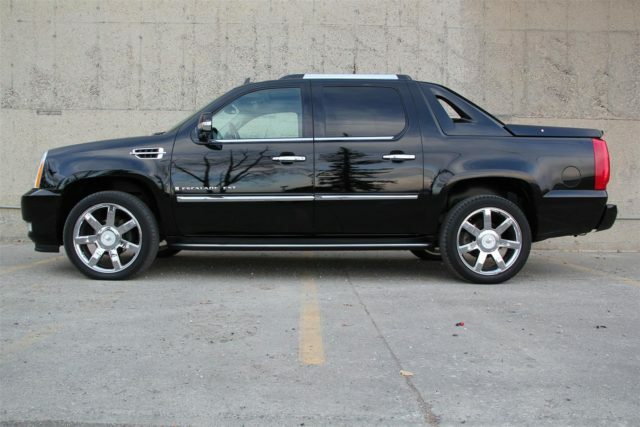 No new model of the Cadillac Escalade EXT came out after 2013. However, it is still very popular across U.S., especially in Texas. There are some rumors that the vehicle will come again into production again next year, but nothing official has been announced yet.